Welcome to the JW Justice blog! 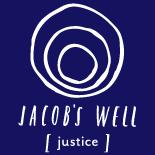 This site will be a hub for those who want to know more about the justice work we are involved in as a church. We hope it will also be a venue that provokes our thinking on a wide range of justice-related topics, from the experiences of refugees resettling in the U.S. (see the recent Pitch article and the brief Here and Now segment), to the challenges and opportunities that come with addressing poverty (see the KCUR discussion and the Kofi Annan interview), to the politics of personal space (see Renaldi’s photo project documenting strangers in NYC). To that end, we will regularly post breaking news, talks, videos, songs, articles, and other miscellany related to issues of justice and human rights in American life and elsewhere. Though we may not agree with every viewpoint expressed in these posts, we believe we have much to learn from those working creatively and compassionately in their respective fields. We look forward to the discussions that arise from this material. We look forward, too, to being educated and led by the many practitioners around us–individuals and affiliate organizations–and to being caught up, again and again, in the work God is doing on behalf of our city and our world. I’m interested to keep up to date with your work if you don’t mind. It looks very interesting.